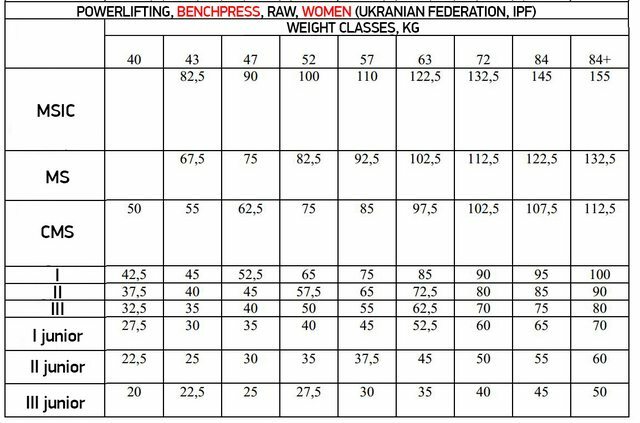 Each of these titles was awarded only for results on the official competitions. 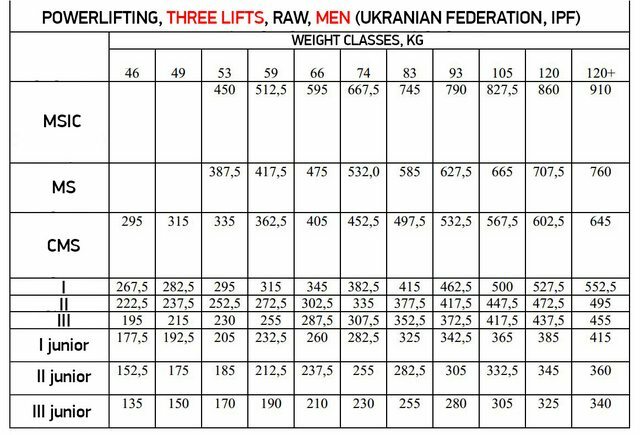 Edit: For raw lifters the following tables are from Ukraine. Are those Raw or equipped totals? I'm very sure those a raw. I will try and find the equipped totals too. I thought so too. Turns out they are equipped. Yeah, I think there was a change a couple years back that made these a little more generous. Hmm yes, with the old chart I once had the requirements were much more harsh (and more realistic, IMO). 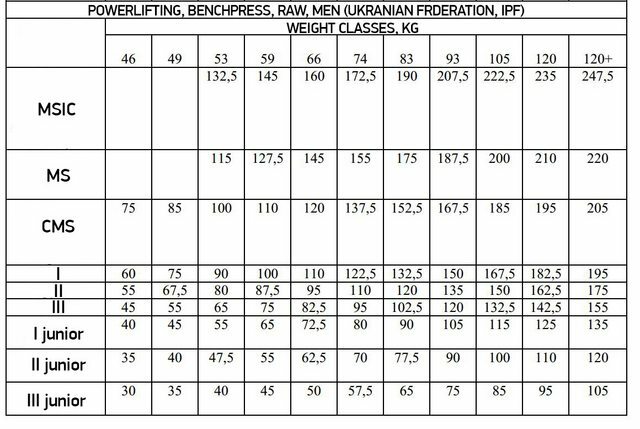 Is it possibly to find such a chart for bench press specialists? By the way, past chart was easier. 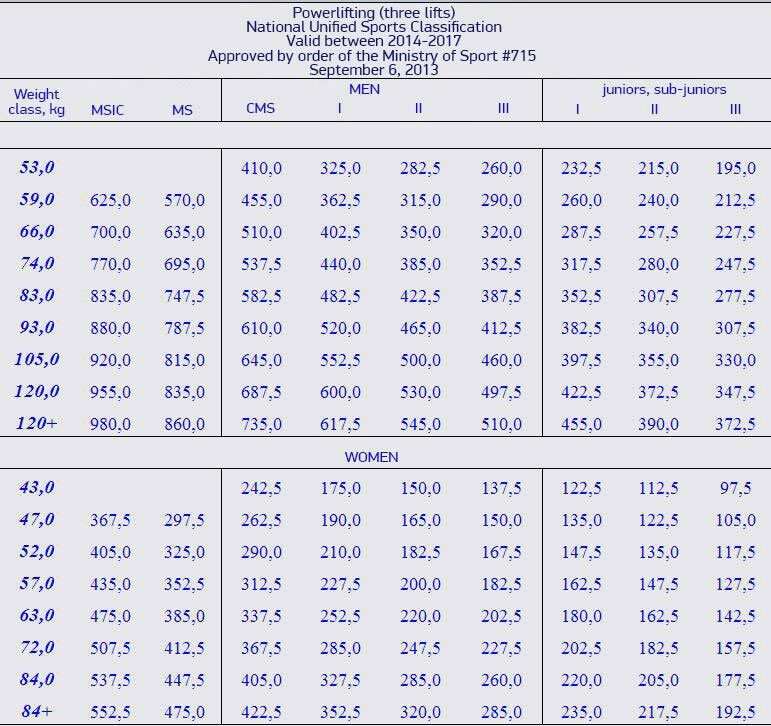 Last year -83 was 732.5 and 825 for MS and MSIC respectively. 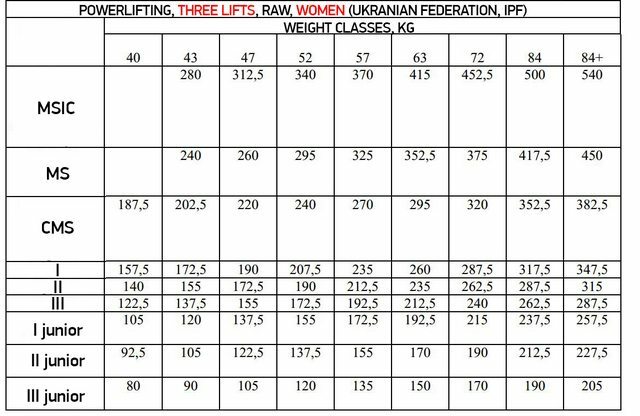 Still, IPF equipped is not the usual 3 ply circus stuff people associate with the words "equipped"
There are no classification charts for raw (three lifts) and bench press (raw and equipped) in Russia yet. Thanks for the update on the RAW chart Robert.